This Christmas e-card starts off with Rudolf looking upset sitting on a bench with his arms crossed. 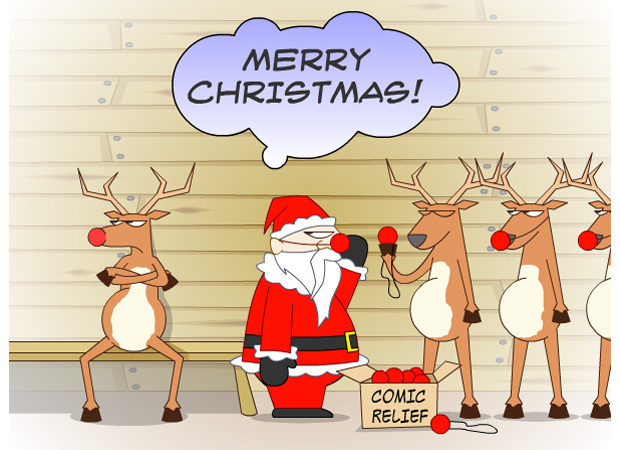 Santa is standing next to him with a box of clip on red noses with the rest of the reign deer. Santa turns to them all and says to them "come on lads we all have to wear them or Rudolf is not going to come this year!" This is a really fun Christmas e-card and very suitable to be sent to younger recipients.